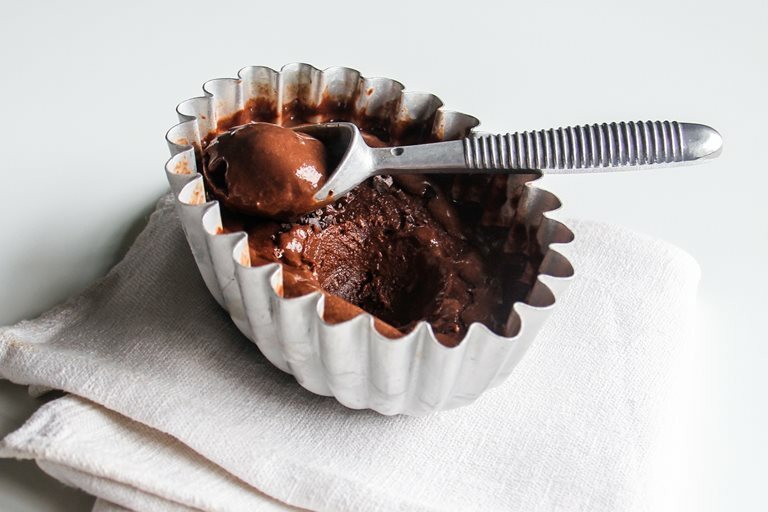 With some of the world's best ice cream coming from Italy, it's a safe bet this dark chocolate gelato will be a winner when you make it at home. Ice cream is my favourite food, I enjoy making them at home for the pure pleasure. It’s not cheaper, making homemade ice cream, but it’s fun and takes me back to many holidays and long weekends spent in Milan, Forte dei Marmi to Florence to Bologna and surroundings areas. I am yet to go South. Italy has brought us the best gelatos with endless creative flavours compounding with fantastic displays. It’s a winner in my book. Gelatos have less fat (cream) than ice cream. It’s important to use good quality ingredients. Also, in Italy they have special equipment to make gelato. Here is a recipe inspired by my Italian travels, dark chocolate gelato with added cocoa nibs – homemade with love. This recipe makes 750ml of gelato.